Darcie, Marie’s daughter, picked the psalms that we heard read this evening, and they are well chosen. Psalm 23 is well known to those of us raised in a church or synagogue. I love hearing texts like this that we’ve read or recited in hundreds of different ways over the course of our lives. Many readers think Psalm 23 was a psalm for a person on the lamb from the authorities. Perhaps the original writer had committed a murder or unintentionally killed someone, and that person was fleeing from the relatives of the one who was killed. The one being pursued is running to get to the city of refuge, Jerusalem, where he can live in the house of the Lord without worry of being caught or killed. Marie wasn’t on the lamb from the law, at least as far we know. This song has a simple but radical message: God is the only necessity of life. Psalm 100 is perhaps the most familiar of the songs of praise. It is probably the psalm most often chanted in history, from the first Israelite temple on Mount Zion to synagogues and churches across the earth. It has a clear theme: God rules the world, and we humans belong to God. In this way it’s a fantastic summary of the whole of scripture and the heart of Jesus preaching. We are not our own. Our lives are not simply our own to live. Genuine life is found in praising God, something I think Marie knew. Psalm 121, aside from Psalm 23, is probably recited from memory more than any other psalm—especially when people reach for words of assurance in the difficult times of our lives. Ps 121 reminds us that the ruler of the cosmos has a personal concern for the lives all God’s people, that is to say, everyone. It’s a travelling song, which reminds us that life is a journey, as Marie’s has ended. From birth to death and beyond, Ps 121 is a good reminder that as follow Jesus on his way, God is our keeper as well. As her pastor, I’ve known Marie for almost 20 years. Here’s a half dozen of my favorite things about her. First, as the oldest of her brothers and sisters, she helped raise them all. I know this was much more common ninety years ago in America, but still it bears honoring. When an older sister helps to raise her siblings, she has to sacrifice some of her own childhood, and usually some of her education as well. Marie was the quintessential older sister of a previous generation: very tough and could do the tasks that needed doing, despite having only finished the 7th grade, in a one room school house that she had walk a far piece to get to. A second thing I liked about Marie was her cooking. She could cook, and she loved to cook vegetables most of all; in that sense she was way ahead of her time. 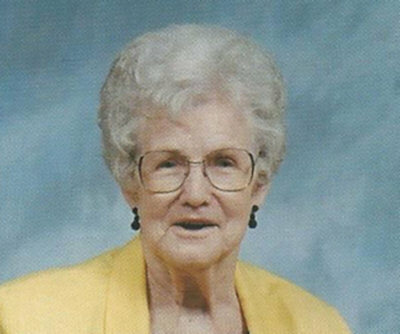 She was an expert vegetable gardener, having done this growing up on a farm in Wilkes County. Every January first she fixed the traditional New Year’s Day meal: bean & potatoes, collar greens with real hog jowls, black-eyed peas, corn bread. She taught Darcie to cook too, and to love that peculiar southern delicacy: pigs’ feet. (I always wondered who was brave enough to eat pigs’ feet, and maybe this contributed to her extra long life.) Butter beans, pole beans, green, pinto, baked and white beans. Carrot raisin salad. Turnip greens, collard greens, poke salad; corn on the cob, creamed corn, corn pudding; hoppin’ john, mashed potatoes, potato salad, sweet potatoes candied with butter and brown sugar, okra, onions, peas—field, Crowder and purple hull. Tomatoes, sliced ripe and fried green tomatoes. (Should I not be listing all these right at dinner time?) Marie was an artist with all these. Thirdly, and related to the first two, is that I greatly admired Marie’s work ethic. Say what you like about her generation, but they knew how to work, and to work well and hard. This is a crucial thing for parents to impart to their kids: the ability and moral obligation of a strong work ethic. My middle son Zach is working at Liberty Hardware in Winston-Salem this summer. Zach’s just 19, and just finished his first year of college. He’s up at 5:45 every morning, and after a huge breakfast drives his 30 mins to work, until quitting time at 3:30. Before he started I reminded him of the same things my father had imparted to me, namely to give over and above at one’s job. Zach doesn’t clock in at 7:00; he’s already working, and he doesn’t quit before his shift is up. Just last night he was remarking at the difference he saw in the work ethic of some of his colleagues; about ¾ of his co-workers work hard and efficiently, but about a fourth work at a leisurely pace and openly complain about the job. This would not have happened under Marie’s oversight. She knew how to work incredibly hard, and had to much of her life. The last three things about Marie that I know are particularly special. You may know that she was a gifted seamstress. She could sew almost anything. She grew up sewing clothes for herself and her brothers and sisters. She got in big trouble as a very little girl when she cut up one of her mom’s dresses, making her own pattern for herself. Marie could sew everything and easily. I so admire a person who can craft beauty out of bolts of fabric, and who have the vision to what raw material might become. Marie made most of the clothes for her family and herself for years. She use to go downtown to shop for clothes, look at the dresses, then come home and make her own pattern out of cut up grocery bags, and then make the same dresses she’d seen for pennies on the dollar. My own mother, a southern belle from North Georgia had numerous talents, but sewing was definitely not one, and my wonderful wife Ann is not a seamstress either. So I am particularly taken with someone who had such a facility with fabric, and whose creativity was captured by clothes. It speaks of how indomitable the human spirit is: here is Marie, grew in difficult circumstances, parts of her life were hardscrabble, yet she was so artistic with her sewing. The gift of our creative God is a creative spirit that bursts out everywhere. You might remember that it was YHWH that sewed the first clothes for the fallen couple in the story of Adam & Eve. Here Marie—who was never one to say, “I love you,” or the like—clothing those closest to her with her gift. Hers was a sewing circle of her love. Another thing that I deeply valued about Marie was her love for this church and her faithfulness to this congregation. If Marie were healthy, she wanted to be here with her family and friends worshipping God and talking about life and the bible. She was a gift to us, and she was a witness to those of her generation that retired from church when they retired from work. We who are younger value the faith and faithfulness that created churches like College Park and built spaces like this one we’re worshipping in tonight. These churches and building didn’t happen by accident or fiat; they weren’t built by people sitting at home watching TV. They were built by faithful women and men who gave of themselves, their income, and their time to create something lasting: a free Baptist congregation that knows that loving God involves loving people. And Marie was a part of us here for a very long time, and she didn’t drop out or retire, or forsake the assembling of ourselves together, as is the habit of some, as the author of the book of Hebrews states it. She was faithful to real people here in her time and way, and we honor that. Lastly, the greatest gift she gave us was her four children, Darcie, Penny, Gene & Gerald Dean. I know the first two the best, but I know enough about all four to be deeply impressed with who these turned out to be: caring Christians who give so much of themselves to everyone around them. If you knew Marie well, you know that she was hard on her children, sometimes (in my humble opinion), too hard. There is a quality of some of the people of her generation that they had a hard edge on them, and this was true of Marie. It was a side I believe that she only showed to her kids, and sometimes it was too much. The proof in parenting is NOT in how your kids turn out, what kind of adults your children turn out to be. Good parents sometimes turn have bad adult kids, and bad parents sometimes have good adult kids. Life is predictably unpredictable, and deeply mysterious. But, more often than not, you don’t raise four kind, giving, Christian adult children by accident. And whatever her faults, I lay this tribute at Marie’s feet. Her work ethic, her homemade creativity, her faithfulness to her friends and church, her dedication to her own siblings and family: all of these traits course through the sewing circle of Marie’s love, and we’re the better for it. Thanks be to God for Marie Chambers.